As the ‘patent war’ over smart phone and tablet devices continues, Google Senior Vice President and Chief Legal Officer David Drummond has publicly alleged that legal actions by ‘Microsoft, Oracle, Apple and other companies’ against Barnes & Noble, HTC, Motorola and Samsung are really all about Android. …Android’s success has yielded something else: a hostile, organized campaign against Android by Microsoft, Oracle, Apple and other companies, waged through bogus patents. So what is Drummond trying to say here? That it is all a big conspiracy, and poor little Google is the target? That companies with technologies which compete with Android have formed an evil cartel to squash competition? This all seems a bit rich, and Google’s claims that this is really about their technology, and the incumbents’ fear and loathing of the upstart, smack somewhat of the new kid on the block crying out for attention. In other words, all this whining is neither very attractive, nor particularly mature. There is, of course, another possibility – companies such as Apple and Microsoft, which have been in the mobile device and operating systems space for years before Google came along, might be suing competing companies for selling products which infringe patents protecting innovations developed over long periods of consistent investment in research and development. That investment is not just about the cost of developing or implementing particular new features, but includes hiring and retaining the creative people and providing the facilities and environment to foster innovation over an extended period. And then Google comes along, and in the space of only a few years moves from being a search service provider to being… well… everywhere! And like any new entrant into an established market, they have done a great deal of catching up by way of imitation, rather than innovation. 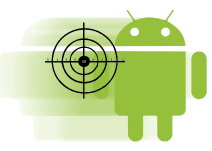 Android unquestionably piggybacks on Java (see Why Has Oracle Sued Google? ), although this does not necessarily mean that Google has infringed Sun/Oracle patents or copyrights, as Oracle alleges. And it is no coincidence that Android-based devices increasingly adopt features and interfaces which first appeared on Apple or Windows Mobile devices. However much Google might be investing in its own innovations, it is also riding on the back of the investments of others. And now it is complaining about, for example, Microsoft seeking a license fee of $15 on each Android device. At first blush, this looks like a poor outcome for consumers, who might be hoping for the benefit of lower prices out of the increased competition provided by Android. But, in fact, that is money going back to the company that paid to develop the technology in the first place, back when Google was just a search provider. Microsoft understandably wants to ensure a return on that investment, in part to fund its ongoing developments, and it therefore does not want new entrants in the market dragging prices down. Of course Samsung can undercut Apple and Windows Mobile based products – it is using Android, which it did not have to pay to develop. And to the extent that Android has benefitted from a free ride on the back of its predecessors, the time has come to pay its dues! As Drummond rightly points out in his post, one of Google’s best responses to this situation is to own a decent portfolio of intellectual property rights itself. And since it has not, to date, been a major innovator in this particular field, its best strategy may be to acquire patents from other companies looking to sell. It has been reported in the past few days that Google has acquired more than 1000 patents from IBM, and there is speculation that Google – along with both Samsung and Apple – has its eye on InterDigital’s patent portfolio. Of course, this is really just an alternative way to pay the price of ‘catch up’. Instead of the ‘pay as you go’ approach of licensing, buying patents is the cost of entry into the IP owners club, allowing participation in more-favourable cross-licensing deals. Either way, someone has to pay, and this will end up reflected in the price of the end products. And this is just how it should be. If we all want to benefit from innovative new technologies, we have to expect to pay the price of innovation. Google, Apple, Microsoft, Oracle, Samsung et al will work it all out amongst themselves in the end. We should just leave them to get on with it! It is not that we will not sell the Galaxy Tab until the legal case ends. We will sell it when certain conditions are met as we continue talks with Apple. Over on the FOSSPatents blog, Florian Mueller continues to argue (wrongly, in our view) that Samsung’s comments on the case are indicative of the weakness of its position, particularly its ongoing failure to specify a launch date for the Australian variant of the Galaxy Tab 10.1. What Mueller is failing to take into account is that Samsung has entered into a agreement, endorsed by the court, under which it is not permitted to engage in certain activities, including advertising, or seeking expressions of interest from consumers, until seven days after it has provided Apple’s lawyers with product samples. So of course Samsung is not yet announcing a new launch date. For all practical purposes it has undertaken not to do so. Indeed, under the terms of Samsung’s agreement with Apple, we are pretty much guaranteed that all reporting of the dispute for at least seven days will consist principally of speculation, because Samsung and Apple will not be saying anything much more than they have already said. Do you think that Samsung would have already submitted the 3 tab to Apple. Im guessing not, as 7 days from the 11 Aug is today. And considering that the 11 August event has been cancelled they still havent been sent off to Apple. Also wouldn't it be in Samsung's best interest to get those 3 tabs to apple ASAP, before Apple have more time to prepare to find more infringement claims. In regards to Patent infringement, I see where you are coming from in terms of protecting innovation. However what you post doesnt cover is how patents are being dished out by the dozens. See, i understand if you secure a patent for some thing that is innovative. Actually it has to be innovative to be patent-able. But i do believe that a lot of the patents do not show any innovation. Worse still you have a lot of time where companies just copy existing technologies and patent it. And other time patents can be so broad that im not sure how they were awarded. Not to mention that when the patent office gets busy they really do not take the time to check if the patent should truly be awarded. Sorry, no settlement... yet. This article appears to be based on its author's own interpretation of the events already reported on this blog and elsewhere. That interpretation is incorrect. The only thing to have been agreed to date is a temporary 'cease fire'. Thank Mark for the reply, That's a good bit of information. With a background in science and not law the purpose of my discussion is more to educate myself, so thanks for the information. I do agree that if companies with patents seek reasonable royalties it's not the worst thing in the world. However my emphasis here is on the word "reasonable". When a competitor is found to be using technology that you own a patent on, chances are the royalties may not always reasonable. Is there something that determines what a reasonable amount on royalties is? The second question i had is what is you take on Apple seeking an injunction to prevent Samsung from selling the Tab in Aus? inst that using patents to stifle the competition? or is this normal practice before royalty discussions? I wonder if an injucture to prevent sale of the device is over the top. Lastly, when you do go through all those Patent claims, how simple or complex is it to determine if it infringes other patents? Especially with so many patents out there covering quiet similar subjects.